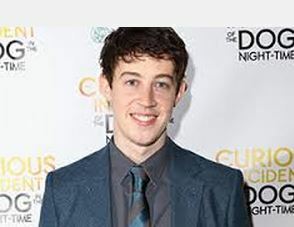 Drama Desk Awards!Alex Sharp Continues to Win Best Actor in a Play! Young, just graduated (from Julliard), Alex Sharp thanked his SCHOOL! A first, I think at any major awards ceremony tonight, when he continues his probable march to the Tony, too, at the Drama Desk Awards. He won for playing the leading character, who is “on the spectrum” as Sharp put it, or autistic to the rest of you and me for “A Curious Incident of the Dog in the Night Time” The challenging British play won big with six awards, winning everything it was nominated for at the Drama Desks. 24-year-old Sharp also won Best Actor in a Play from the Outer Critics’ Circle. Considered the most prestigious of the theater awards handed out right about now, the Drama Desk Awards are voted on solely by press. It’s 125 members consider Broadway, Off-Broadway and Off-Off Broadway equally in all categories. Held at Town Hall, the ceremony seemed a little bit glossier than usual, though the winners took forever to get to the stage it seemed. 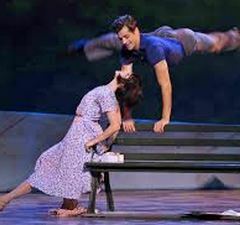 “American in Paris” won four awards including Best Actor in a Musical for Robert Fairchild, who thanked “Gene Kelly, without whom none of this would be possible.” But “Hamilton” the Off Broadway sold-out sensation won seven Drama Desk Awards, making it the big winner of the night. Lin-Manuel Miranda the author/creator/star won three awards himself personally. “Hamilton” is an Off-Broadway show, heaving to Broadway, next month. 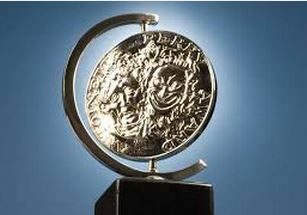 So it won’t figure in the upcoming Tony Awards which only consider theater work done on Broadway. 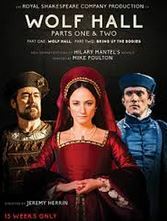 But expect the four major acting winners, who are all in Broadway shows currently running to repeat their triumphs Sunday night at the Tonys. That would be Mirren, Chenoweth, Sharp and Fairchild. Best Revival of a Play went to “The Elephant Man” whose entire cast is currently in Ldndon, repeating its’ success in the West End. 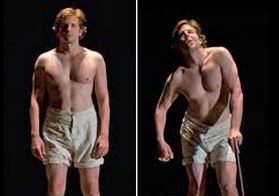 It’s top-lined by three-time Oscar nominee Bradley Cooper, Patricia Clarkson and Allesandro Nivola. 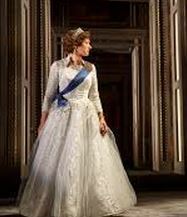 Best Revival went to Lincoln Center’s “The King and I.” My personal fave “Gigi” won Best Costumes for the great Catherine Zuber. “Something Rotten” only won one award for Best Featured Actor in a Musical Christian Borle.